On April 24 the FDA gave the go ahead for the first human papillomavirus (HPV) test to be used as primary screening for cervical cancer. This new FDA decision allows one test, the cobas® HPV test (manufactured by Roche), to be used alone for primary cervical cancer screening. This test detects 14 “high risk” types of HPV while also identifying HPV 16 and 18 specifically, the two types found with approximately 70% of cervical cancers globally. 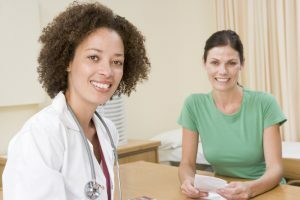 Under the new indication, women who test positive for high risk HPV with cobas will than have a Pap test, while those positive for the more aggressive HPV 16 and HPV 18 will be referred for colposcopy (where a health care provider uses a special lighted microscope to examine a woman’s cervix directly). HPV infections are usually harmless and most are cleared naturally by the immune system, but in a small number of cases the virus persists and causes cell changes to the cervix that, if not detected, can lead to cancer. Paps revolutionized women’s health: since their introduction in the middle of the 20th century, cervical cancer rates have plummeted in countries where the tests are widely available. The venerable Pap – which finds abnormal cell changes but not HPV- was supplemented in the 1990s with the advent of HPV tests that actually detect the genetic material of the virus. HPV tests have been tethered to Paps, used either as follow-up for women with abnormal Pap results or as a Pap/HPV co-test for women 30 and older. 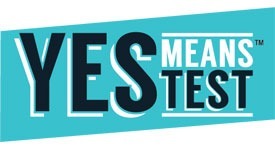 Cervical cancer screening guidelines issued by the American Cancer Society, the U.S. Preventive Services Task Force, and others organizations call for Pap tests every three years beginning at age 21, with Pap/HPV co-testing every five years suitable with women over age 30. Arrindell says professional medical societies like these are crafting interim guidance for primary HPV testing until more formal guidelines are adopted. Read the FDA news release on the decision here. A Q&A developed by the Society of Gynegologic Oncology is available here.